The new Bond movie, Spectre is a great success even if on times it does feel like James Bond's Greatest Hits with scenes paying homage,( or ripping off depending on your mood), to earlier Bond classics. We have an helicopter sequence similar to the opening of For Your Eyes Only, a brutal fight on a train that in fairness betters the similar scene in From Russia with Love, the evil lair from so many Bonds has also been rebuilt and at one point it even goes all Star Wars with Blofeld revealing - I am your father, Luke....er, I mean - I am your brother, James. Daniel Craig has now delivered two great Bond films in a row and even if he still doesn't look like many fan's idea of classic Bond, you can't really fault him here - He's quite excellent in fact. If this does prove to be Craig's last Bond then it will be a fitting departure since plot elements in this one tie up all the loose ends from his previous three movies. It will be a shame if the actors bows out because at last Craig is Bond - he even orders his vodka martinis, shaken and not stirred rather than not giving a damn as in Casino Royale. The Blofeld thing though is stupid - the movie manages to avoid going all Dr Evil with the bad guy's lair but then ruins it by making old Blofeld a jealous sibling. He's, (we are expected to swallow this mind) Bond's step-brother, and then the films suggests that his life of world domineering evil and cat stroking, is due to the fact that his dad adopted Bond after Bond's parent were killed, and that he felt pushed out - he refers to Bond as a Cuckoo in the nest . This is far more camper than anything Austin Powers managed. That aside the film flies past and doesn't feel anything like it's two and a half hours - it is paced perfectly and Craig is excellent. 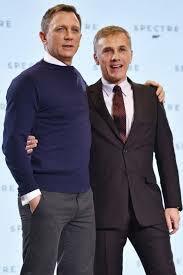 In Skyfall and now this, Daniel Craig has given us two Bond's that can stand proudly alongside the classics. 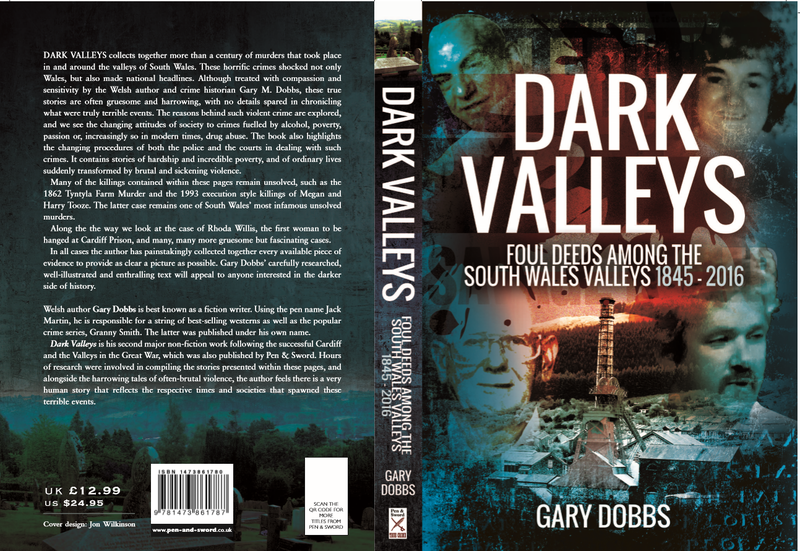 At the moment I'm juggling two major projects - Dark Valleys, which is a commission from Pen and Sword Books and concerns historical murders that took place in and around the South Wales Valleys. The second is a novel, not a commission, something I'm writing on spec. The novel is entitled Down Among The Dead and is an attempt to bring back my character, Chief Inspector Frank Parade of the Glamorgan Constabulary. 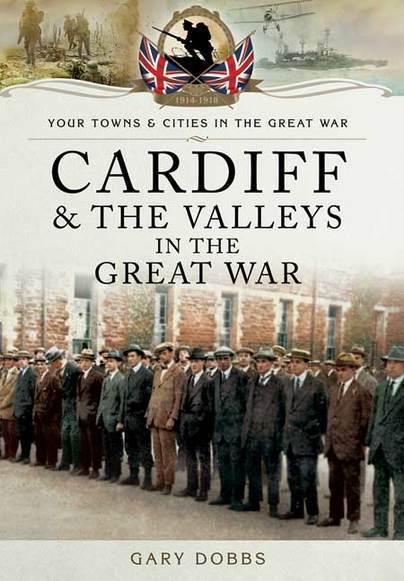 I first used Parade in the earlier novel, A Policeman's Lot which was published in paperback by Solistice Publishing before transferring over to Kindle with a new title, The Welsh Ripper Killings. A Policeman's Lot was a kind of high concept crime novel, and relied on historical fact namely Buffalo Bill's Wild West Circus, Jack the Ripper and a coal miner uprising. The novel was set in 1907 and featured the character of Inspector Frank Parade. I like Parade, like him a lot but struggled to find another story for him. The problem was that Parade was used as the main voice in the Ripper based story but he didn't really fit into that timeline. He was great for the plot but not so much the era. 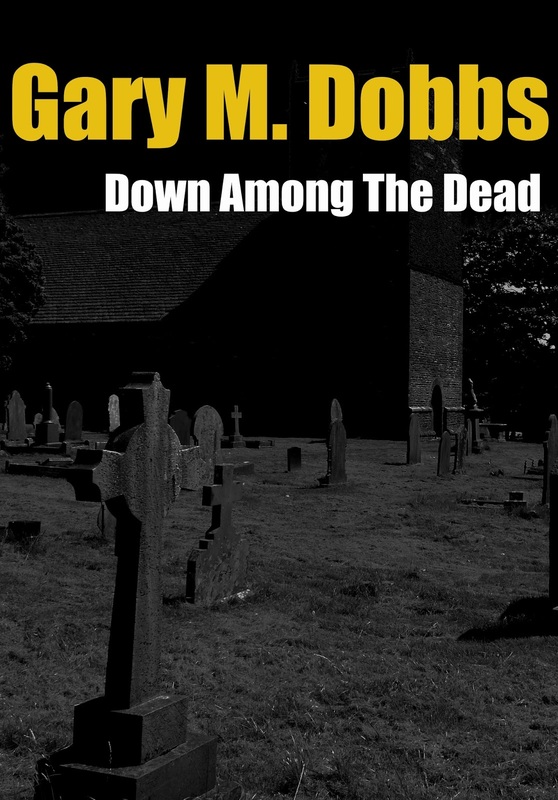 Now I decided that my next crime novel, Down Among the Dead needed to be set in a different timeline - that of World War II period South Wales. This meant I couldn't use the character of Parade, I would need to create a new policeman. But I found I couldn't do that - I needed Parade and so I pushed A Policeman's Lot aside, decided to look upon it as a standalone novel and rebooted Parade, transporting him to a different time. In short I recreated Chief Inspector Frank Parade and placed the cranky old copper in the same environment but several decades later. Below is a small extract from the work in progress. The night it all began, a fog had descended over the hills and shrouded the entire valleys beneath an opaque blanket. Dan Evans cursed as he climbed the fence, careful not to catch his crotch on the barbed wire, and made his way across the field that was little more than a bog. Usually the ground would be soft, swallowing up feet, and stubbornly refusing to let go, but at the moment, several weeks into what was shaping up to be a long hot summer, the ground was dry and hard. Not that it was any easier to negotiate. The uneven ground was uncomfortable beneath Dan’s feet, and several times he stumbled, having to throw his hands forward as he fell into the thick grass and reeds that could poke an eye out. Dan gazed into the darkness – moments ago it had been a clear moonlit night, but this fog had come from nowhere. It rebounded the moonlight back at him, and gave everything a bluish tinge. One moment he was peering into a murky soup and the next he was shielding his eyes as if caught in the glare of the sun. He had to get his bearings. No point in wandering about with visibility being so poor. It would be easy for a person to get lost, even someone who knew the mountains as well as Dan. And he knew them well, very well, he had walked them for more than thirty years as both man and boy, but all the same on a night like this he might as well have been in some foreign land. Nothing was the same in the fog. The landscape itself seemed to mutate as dangers were created, where previously there had been none. He reached the far end of the field, scaled yet another fence, and then sat down on the ground to figure out just where he was going. He couldn’t see more than a few feet in front of him and there seemed to be nothing but a wall of fog ahead. He did, of course have a rough idea of where he was, but he couldn’t figure out in which direction to go. He was completely disorientated. All this wandering about and he wasn’t at all sure in which direction he’d crossed the field. Indeed, for all he knew he could have gone full circle, and ended up back where he’d started. He fallen several times and maybe he’d gotten back up, and then wandered off the way he had come. No, he didn’t think that was the case. 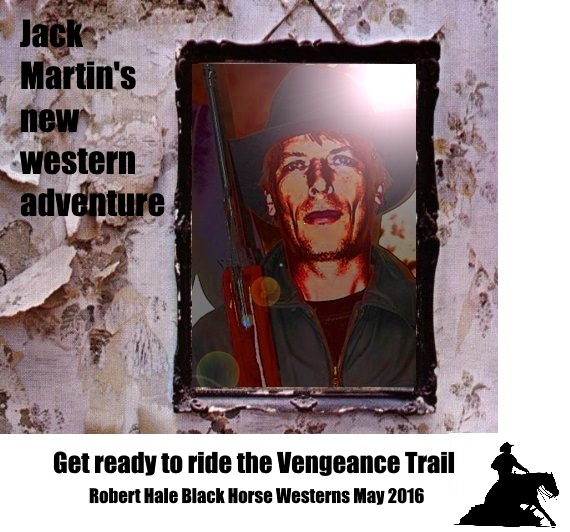 He’d gone west, he was sure of that, which meant he should be above the old barn. It should be ahead of him, down the banking and across the stream, and he guessed he’d shelter there. ‘Bloody sheep,’ he mumbled, again cursing the wayward animals. They, those stupid bloody beasts, were the reason he’d been up the mountain so late at night, several of the dumb animals had wandered away from the flock, gone through a break in the fence. They were always doing that which was a problem; since there were several disused mine shafts and pot holes that they could fall into. He couldn’t afford to lose any more animals like that, and so, after repairing the fence, he’d gone off to search. The fog had come suddenly, without warning, and before he knew it he had only a vague idea of where he was. Dan sat there on the ground for several minutes while he smoked a cigarette. He knew he was breaking the strict blackout laws by smoking, but he didn’t figure there’d be any wardens roaming about the mountain to challenge him and he doubted Jerry planes would be passing overhead in this weather. His makings were damp and he had to struggle to keep the smoke going. It tasted good as he drew the smoke into his lungs, the nicotine serving to calm his frayed nerves. Come on Danny boy, he chided himself. You’re acting like an old woman. Anyone would swear you’d never been up a mountain at night before; next thing you’ll be jumping from the bogeyman. But it was more than that, the dark he could cope with, but this sodding fog was something else entirely. It was darker than dark and had closed in so thickly that he felt claustrophobic, and feared that if the fog became any denser he’d be unable to breath. It would smother him, seep into his lungs where it would set with the consistency of treacle. He took his time with the cigarette, and only when it was too small to hold without burning his fingers did he toss it aside. He stood, holding the fence to steady himself while he peered into the fog. Still, he was unable to see more than a foot or so ahead. Cautiously he walked forward into the fog. With each step he carefully felt the ground ahead of him, any moment expecting a slope as he neared the banking that he was sure would be there, but the ground beneath him remained level and eventually he reached yet another fence which left him completely confused him as to where he was. He willed himself to stay calm, knowing there was no need to panic, that it would serve no purpose and he could very well cause him an injury if he lost control of his nerves. He was quite safe but all the same the fog was oppressive and seemed to be closing in ever tighter. Carefully he climbed the fence and then dropped down the other side. He looked around, again trying to pick out a landmark, anything that would give him some idea of where he was, but there was nothing to be seen other than the murky shroud the fog had thrown over everything. At times the fog seemed to clear slightly and you could see through it but everything was out of focus, and didn’t help Dan at all in pinpointing his location. ‘Bloody sheep,’ he muttered and started walking forward, figuring that if he kept moving he would soon realise where he was. He listened to the night, trying to pick out any sounds. He could hear the drone of one of the collieries in the distance, but wasn’t sure which ones. There were several possibilities depending on exactly where he was on Myndd Y Gaer. He started across the field and had gone maybe fifty yards when he was able to make out a landmark just ahead of him. It was unmistakably the ruins of Llanbad Church – the four walls jutted out of the ground like cavity filled teeth and Dan smiled. He had gone some way further than he had expected but all the same he was glad to come upon the old building. Although the church was in ruins, all that remained were the four walls, and exposed to the elements, he would be able to find some limited shelter. If he crouched down behind one of the walls he would be cosy enough until the fog cleared. Dan climbed the banking and entered the church grounds, stepping over ancient gravestones. The old church dated back to Norman times but it was just shy of a century ago in 1844 that it had last been used for worship. It had originally rested in the ancient parish of Coychurch but as villages had sprung up around the surrounding areas, with their own churches and chapels, and boundaries were redrawn, it had become even more remote and far less important. Over the years it had fallen victim of the elements, a particularly ferocious storm in 1850 had taken the roof and in the years that followed much of the stone used in its construction had been carried off by farmers to be used in building walls of their own. Even the ancient gravestones that stood in its grounds had suffered vandals and now many of then lay on the ground, their inscriptions too weathered to read. Dan reached the church and went through the entrance where the heavy doors had once stood. There was no roof above his head but he felt better with four walls around him and he sat down, his back against a wall while he fished in his pockets for his matches. He struck one on a stone and immediately recoiled in horror at the sight the sudden illumination revealed to him. For there upon the ground was a most grisly sight – it was the body of a man, his face pulped to a mush. 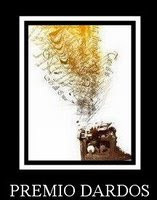 That in itself was bad enough, but the thing that brought Dan to a gibbering wreck were the maggots that could be clearly seen, almost luminous in the light thrown by the match, as they burrowed through the corrupted flesh. The above is the opening to the novel in a rough draft form and I'm anticipating completion of the first draft sometime around Christmas - then it will be set aside while I concentrate solely on Dark Valleys. The finished manuscript has to be with the publishers by the end of January 2016 for publication sometime that year. 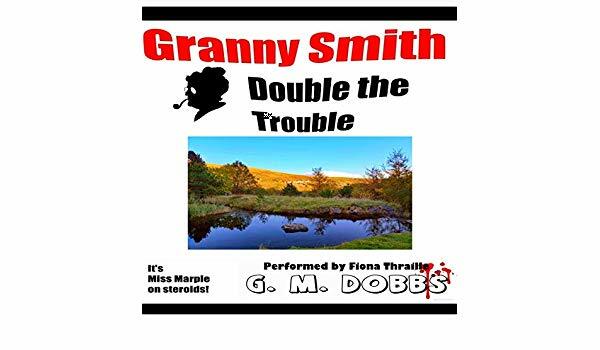 There will be a lot of proofreading, editing and general pulling out of hair before the finished project arrives in stores gleaming and giving off that delicious aroma of brand new bookieness. 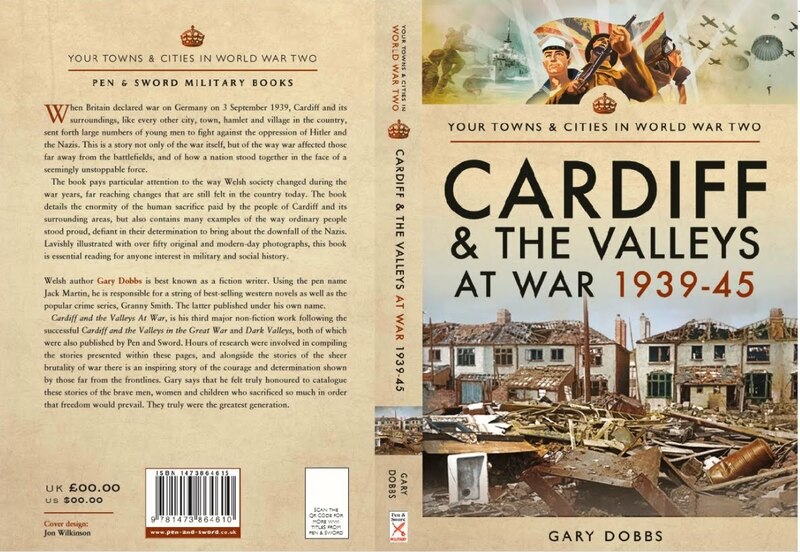 And of course add to that workload another commission, Cardiff at War 1939 - 1945, again for Pen and Sword Books, and I guess you could say I have a heavy workload. Hey, that's the way I like it. 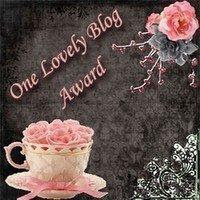 It took me too long to become a professional writer to complain about the work...now all I have to wait for is to become a successful writer and then I can give up this pesky day job of mine which takes up far too much of my time...time that could be better spent tapping the keys. ‘Pity you didn’t show that good sense when you started all this,’ Jim said and bit the end off a large cigar. He spat tobacco onto the floor, earning himself a look of reproach from his wife who sat in the far corner, a worried expression permanently plastered across her once beautiful face. She could tolerate her husband’s cussing but his vile habit of spitting was best done out of doors. 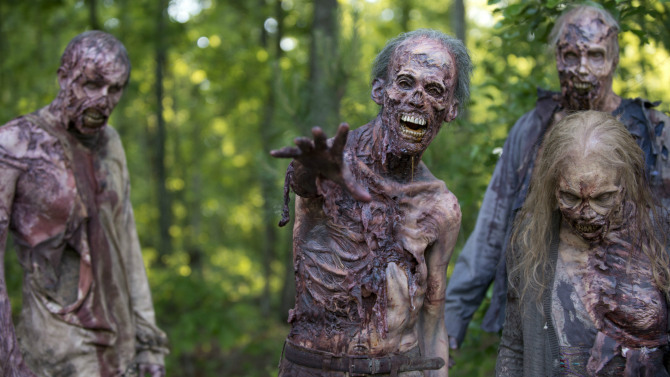 The Walking Dead returns for a sixth outing. Although the season six opener of AMC's Walking Dead was one of the best episodes in a long while, it was the first time a season opener had failed to grow the rating. Although the episode was still a monster hit - According to “live plus same-day” estimates from Nielsen, the zombie drama averaged a monster 7.43 rating in adults 18-49 and 14.6 million viewers overall — up slightly over the show’s season 5 averages but below its fall 2014 premiere (8.65 in 18-49, 17.29 million total viewers). That year-ago opener remains the show’s highest-rated telecast on record. The main thrust of the plot was the horde of walkers in an old quarry that Rick decided must be drawn out and cleared else they get too close to the relative safety of the walled town in which our survivors now find themselves. The episode was over an hour long with the present-day narrative framed with black and white flashbacks to the days immediately following the season five finale. This, in my opinion, was an effective way to tell what was an action packed story. We're six season in now and the show is as strong as ever, with the spin off series, Fear the Walking Dead (just finished its first season) also piling up the ratings. So it seems a certain thing that the series will go to seven series...likely, even more. I'll leave you with Screen Rant's opinion of the season opener - What works about the premiere, then, is how its narrative goals are successfully blended with the presentation of spectacle and the actual needs of the characters within the story. Granted it takes 90-minutes to accomplish this, but to its credit, it manages to do so without getting them confused or muddying up the visual metaphor at the heart of it all. Going this big, shoving this many walkers into one episode, could have felt like superficial overkill, but The Walking Dead made it more than just a visually entertaining endeavor. Added to the complication of the horns sounding in Alexandria at the end, the premiere also managed to make its plentiful walkers feel like a legitimate threat again. 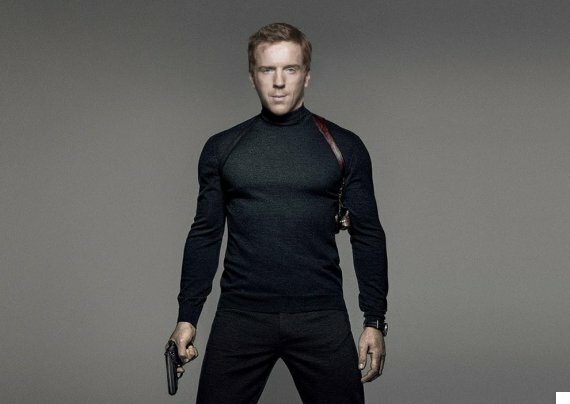 “I’d rather break this glass and slash my wrists,” So said Daniel Craig when asked if he would do another Bond movie which seems to indicate that despite reports that Craig has signed for two more Bond movies, the actor is done with the character. 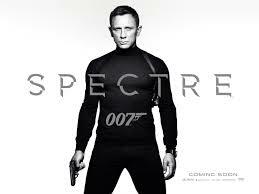 MGM and Sony Pictures launch Spectre in the UK on October 26 before its domestic bow the following week. MGM, which holds the rights along with producer Barbara Broccoli’s EON Productions, declined to comment as did Sony. 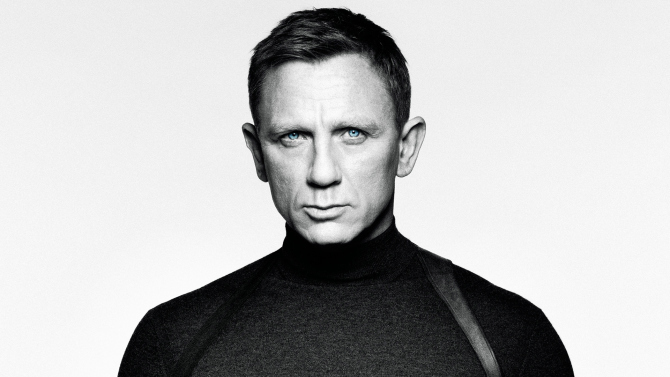 Craig is still, officially at least, contracted to do one more Bond film. Speculation has been rife for some time now that Craig, who turned 47 early this year, was looking to put away his Walther PPK and smoking jacket. These letters, among many others are featured in the new book The Man With The Golden Typewriter which is published OCT 8TH 2015. 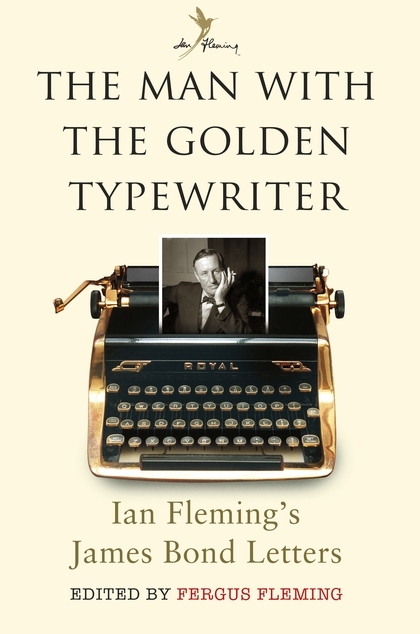 These letters make for entertaining reading and the correspondence between Boothroyd and Fleming is particularly interesting. The pair became such good friends that Fleming named a character Major Boothroyd. Boothroyd even once lent Fleming a gun for a cover illustration. The book is out now and well worth a browse - some of the letters are absolutely hilarious.